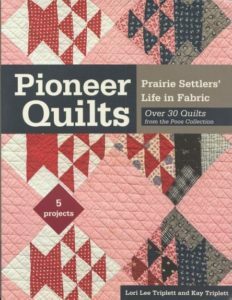 If you’re just starting your holiday shopping, you may just want to add Pioneer Quilts to your list. This is a must-have for any quilt collector. It showcases 30 quilts from the Poos Collection, one of largest privately held collections in the world with a strong emphasis on pre-1860’s quilts. You may want to pick up two…one to give and and one to keep in your own collection!